Variables should be stored in local blocks. Yes or no? A switch statement is better than multiple if statements in what all situations? Can a switch statement be written without a default case? Is it possible for the last case of a switch statement to skip including the break? Barring the for statement, where else is the comma operator used? How do you determine whether a loop ended prematurely? Differentiate between goto, long jmp( ) and setjmp()? Is right-to-left or left-to-right order guaranteed for operator precedence? Differentiate between ++var and var++? Explain the function of the modulus operator? What is the most efficient way to store flag values? Is it better to bitshift a value than to multiply by 2? What is meant by high-order and low-order bytes? What is the way to store 16-bit and 32-bit numbers ? What purpose does preprocessor fulfill for a program? With the help of #include , can a file other than a .h file be included? What is the benefit of using #define while declaring a constant? What is the benefit of using enum while declaring a constant? Why is it better to use an enum rather than a #define constant? In demo versions, how are the portions of a program disabled? What is better? Using a macro or using a function? Explain the best way to comment out a section of code that contains comments? Differentiate between #include and #include "file"? Can it be defined which header file to include at compile time? Is it possible that include files be nested? How many levels deep can you nest include files? Explain the significance of concatenation operator? How do you create type-insensitive macros? Explain the way to make a program print the line number where an error occurs? Explain the way to make a program print the name of a source file where an error occurs? How do you tell whether a program was compiled using C versus C++? What is a pragma? What is #line used for? Explain the usage of #line? Explain the significance of __DATE__ and __TIME__ preprocessor commands? What is the procedure to override a defined macro? How do you check whether a symbol is defined? Do array subscripts always start with zero? Can we address one element beyond the end of an array? Is it possible to tell the size of an array passed to a function with the help of the size of operator? What is better to navigate an array of values? To use a pointer or to use a subscripted array name? Can an array tag be assigned a different address? Differentiate between array_name and &array_name? Why don't we use constant values to define an array's initial size? Differentiate between a string and an array? Is there an error if errno contains a non-zero number? How is a standard stream redirected? How is a redirected standard stream restored? Can we force stdout to be printed somewhere other than the screen? Differentiate between text and binary modes? How is it determined whether a stream function or a low-level function should be used? How are the files listed in a directory? How are the files' date and time listed in a directory? How are the file names sorted in a directory? How are the attributes of a file determined? How is the PATH viewed? How can a file be opened so that other programs can update it at the same time? How can it be made sure that my program is the only one accessing a file? How can it be prevented that another program from modify a part of a file that I am modifying? How can Abort, Retry and Fail messages be avoided? How do I read and write comma-delimited text? Where are my variables stored in memory? Is it needed for the variables to be initialized? Explain the usage of a const pointer? When should the register modifier be used? How does it help if at all it does? When should we use the volatile modifier? Is it possible for a variable to be both const and volatile? When should we use the const modifier? How reliable are floating-point comparisons? How do you determine the maximum value that a numeric variable can hold? Do any problems occur if we try to perform mathematical operations on different variable types? When should we use type cast? When should we not use a type cast? Can a variable be declared / defined in a C header? Differentiate between declaring a variable and defining a variable? Can we declare static variables in a header file? How does it benefit to use const for declaring constants? When should a function be declared? When do we prototype a function? How many parameters should a function have? Is it necessary for a function to contain a return statement if it does not return a value? How do you pass an array to a function by value? Can the code be executed after it exits the main() function? What does a function that is declared as PASCAL do differently? Is it the same thing to use exit()or use return? How do I remove the trailing spaces from a string? How do I remove the leading spaces from a string? How do I right-justify a string? How do I pad a string to a known length? How do I copy just a portion of a string? How do I convert a number to a string? How do I convert a string to a number? How do you determine if two strings are the same? Explain the way to print only part of a string? How many levels of pointers are possible? When do we use a null pointer? When do we use a void pointer? Can pointers be subtracted from each other? When is it done? What does it signify when a pointer is used in an if statement? 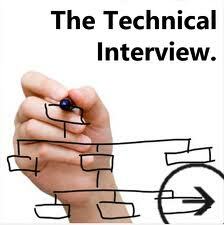 0 on: "Most Common Technical Interview Questions Of IT and CS Graduates. "